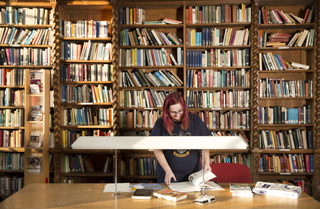 We can generally be found in the Library or Resource Room – drop in and have a chat. The purpose of this policy is to ensure the proper use of the Newbattle Abbey College email system and make users aware of what Newbattle Abbey College deems as an acceptable and unacceptable use of its email system. The College reserves the right to amend this policy at its discretion. In case of amendments, users will be informed appropriately. Email is a business communication tool and users are obliged to use this tool in a responsible, effective and lawful manner. Although by its nature email seems to be less formal than other written communication, the same laws apply. Therefore, it is important that users are aware of the legal risks of email: namely Data Protection, FO1, Copyright etc. * If you send emails with any defamatory, offensive, racist or obscene remarks, you and the College can be held liable. * If you forward emails with any defamatory, offensive, racist or obscene remarks, you and the College can be held liable. * If you unlawfully forward confidential information, you and the College can be held liable. * If you unlawfully forward or copy messages without permission, you and the College can be held liable for copyright infringement. * If you send an attachment that contains a virus, you and the College can be held liable. By following the guidelines in this policy, the email user can minimise the legal risks involved in the use of email. If any user disregards the rules set out in this Email Policy, the user will be fully liable and Newbattle Abbey College will disassociate itself from the user as far as legally possible. * It is strictly prohibited to send or forward emails containing libellous, defamatory, offensive, racist or obscene remarks. If you receive an email of this nature, you must promptly notify your Guidance Tutor if a student or your Line Manager if a member of staff. * Do not forge or attempt to forge email messages. * Do not send email messages using another person’s email account without permission from the account holder. * Do not copy a message or attachment belonging to another user without permission of the originator. * Do not disguise or attempt to disguise your identity when sending mail. * Personal use of email should not interfere with your studies or your work. * Personal emails must also adhere to the guidelines in this policy. * Personal emails should be kept in a separate folder, named ‘Private’. The emails in this folder should be deleted weekly so as not to clog up the system. * The forwarding of chain letters and junk mail is strictly forbidden. * Employees/students should only use email for personal use in their own time. * Employees/students should not waste college resources by contacting large numbers of people either simultaneously, by entering a large number of addresses on a single email or by sending a large number of emails for non college purposes. * All messages distributed via the College’s email system, even personal emails, are subject to this policy. You must have no expectation of privacy in anything you create, store, send or receive on the College’s computer system. Your emails can be monitored without prior notification if the College deems this necessary. If there is evidence that you are not adhering to the guidelines set out in this policy, the College reserves the right to take disciplinary action, including termination of your email account and/or legal action. The College’s Retention and Disposal procedures which dictate the length of time records should be held and then destroyed should also be used to determine an e-mails record life cycle. Staff and students are responsible for managing e-mail records in a manner that ensures their integrity and guards against inappropriate loss or destruction. All email accounts maintained on our email system are the property of the College. Passwords should not be given to other people. This policy will be reviewed every 3 years or whenever changes affect it. Before using computers, equipment or services of Newbattle Abbey College (hereinafter called the “Service”) you must first agree to abide by its rules and regulations. The rules below are in force to ensure that the Service is being used for College supported activities only, in accordance with the purchase agreements for our hardware and software, and with the Copyright (Computer Software) Amendment Act 1985. The Data Protection Act 1984 requires that personal data may only be held in accordance with the registration of such data and that any person or body who holds un-registered data is liable to severe penalties by law. The data collected in this form will only be used for the purpose of account administration within the College, and will not be disclosed to any external sources. You should be aware that e-mail messages remain the property of Newbattle Abbey College and that it may be necessary to intercept traffic for security purposes. You should also be aware that as part of our security procedures and of our security auditing, ICT staff will be able to monitor where you have been on the internet, what pages you have opened, what pictures you have looked at and/or downloaded. This activity is monitored to maintain the integrity of the system and ensure that the Colleges’ legal obligations and requirements are being met. Any person or persons using the facilities of the Service shall be deemed to have read these rules and agreed to be bound by them. * No persons or persons shall use the facilities of Newbattle Abbey College without due authorisation. * Every allocation of computing resources shall be made on the understanding that such allocation is to be used only for the purpose for which it was requested and may only be used by the person on whose behalf the request was made. Use shall not be made of computing resources allocated to another person unless such use has been specifically authorised in writing by Newbattle Abbey College. * No person or persons shall by any wilful or deliberate act jeopardize the integrity of the computing equipment, its system, its programmes, or other stores of information. * Food and drink are not allowed in any areas that are set aside for computer use, if users are found with food and/or drink in these areas their account may be suspended. * No person or persons using the facilities of the Service shall by any wilful or deliberate act copy, modify, disseminate, destroy or use any information or part of any information in which another person or body has a rightful interest without first obtaining written permission from that person or body. * Users are not permitted to exploit commercially, programmes, results, or other material developed using the Service. * College computing resources are provided to facilitate a person’s work as an employee or student of the College, specifically for educational, training, administrative or research purposes. * Use for other purposes, such as personal electronic mail or recreational use of the World Wide Web, is a withdrawable privilege, not a right. Any such use or any other form of personal use must not interfere with the user’s duties or studies or any other person’s use of computer systems and must not, in any way, bring the College into disrepute. * Commercial work for outside bodies, using centrally managed services is not permitted. * The College accepts no liability for the correctness of any results produced using the service, nor of any failure of the equipment to produce results, nor for any consequential loss or damage. * Your Password should only remain known to yourself and should not be given to anyone else. No staff member of the college should ever ask you for your password and you should not leave your password where others may have access to it. A good password should contain 8 characters or more, with at least three, preferably all, of the following: Uppercase letters, lowercase letters and numbers. Do not use names, numbers or initials which relate to you or your family. * When you have finished your session on the computer ensure that you log off the computer, otherwise another person could send e-mails and conduct other activities that would appear to come from you. If a computer is found to be logged on in a public area with nobody at it, this may result in disciplinary action. * No liability will be accepted for injuries neither resulting from the incorrect use of equipment nor using equipment in a way that it was not designed for. If in doubt, ask the ICT Support Co-ordinator for assistance by emailing IT Support. * Staff data files on centralised server based storage will be backed up by the IT service. However, if files are copied to mobile storage devices such as laptops, memory sticks etc. for update purposes, it is the responsibility of staff to ensure that updated versions of the data files are subsequently uploaded back to centralised server based storage as soon as possible after update to ensure that data integrity is maintained. * It is the responsibility of staff to ensure that copies of files maintained on laptops, memory sticks, mobile devices and any other portable media are, wherever possible, in encrypted form and in all cases are transported and secured in a responsible manner. Staff must be aware of their responsibilities in the terms of current Data Protection legislation when in possession of potentially sensitive data. * Users must not attempt to load any unauthorised software on to any College system. All software must be installed by a member of ICT staff. For special cases where the rigid application of these rules would adversely affect a particular College supported activity, then Newbattle Abbey College must be consulted beforehand and any dispensation agreed in writing. Any deliberate transgression of these rules and regulations may result in disciplinary action against the user and a claim for payment of any penalty imposed upon the College as a consequence of the transgression. The use of the computer facilities at Newbattle Abbey College is seen as a necessity. Failure to abide by these rules and regulations could result in the withdrawal of computer services from yourself and your user account being closed. Where your actions are of a serious nature and/or contravene the aforementioned legislation and policies, and/or bring the College into disrepute, you may be suspended from the College pending a full investigation. If you have a technical problem with the ICT equipment you should email the fault to IT Support. The route for complaints or comments about the Service or appeals against withdrawal of Service should be in the first instance to the Administration Manager. You may appeal against this decision to the Depute Principal and if you are still dissatisfied the final level of appeal is with the Principal whose decision is final.